We know that healthy eating is vitally important for the under 5s. The early years of a child’s life really matter when it comes to lifelong health. What they eat, and the habits they develop around food when they’re young, set the pattern for the rest of their lives. By encouraging healthy food and eating habits early on, we can encourage and steer children towards the right behaviours, setting them up for healthier futures. By providing healthy and nutritious food, we can also help young children to get the best from their days, improving concentration and helping them get more out of learning and playing opportunities. 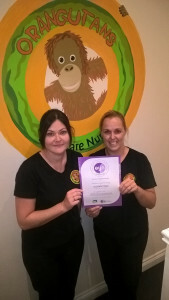 We want you to be confident that we at Orangutans Day Care Nursery are committed to providing healthy and nutritious food and the appropriate environment for good nutrition. We have made a commitment to healthy eating in our nursery by joining the Early Years Nutrition Partnership programme, an independent social enterprise working to improve the future health outcomes of young children. We are now working alongside the EYN Partnership’s Registered Nutritionist Nicola Calder, benefitting from their expertise and the tailored support they are providing to our staff and the children in our care. 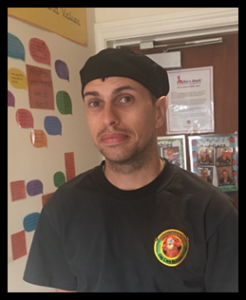 We will be working with Nicola on developing our menus, reviewing our food policy and thinking about how we teach the children in our care about healthy eating and positive mealtime experiences. EYN Partnership resources have been developed using the expertise of the British Nutrition Foundation and the Pre-school Learning Alliance with guidance from the EYN Partnership Expert Panel. We look forward to bringing you news about the work we are doing as part of the EYN Partnership programme, and working with you to help further develop our approach to early years nutrition. or following @EYNpartnership on Twitter.